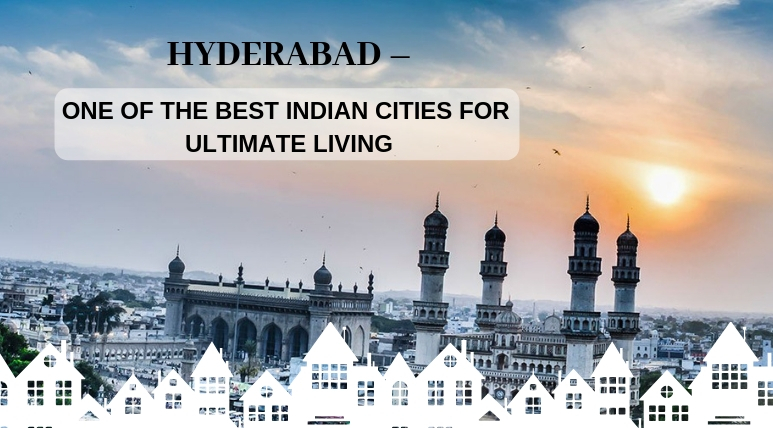 The city of Hyderabad is a preferred destination for global IT/ITeS, Banking, Financial Services and Insurance, pharma and biotechnology firms in India. Real estate experts own this preference to the favourable state policies and ease of doing business in the city. The diverse culture of the city and its great employment potential gives this city a favourable aura for growth. All these factors and the well-developed infrastructure such as the ORR, metro rail and MMTS makes this city a favourable residential destination. A well-developed social infrastructure means having schools, colleges, offices, hospitals and other public utilities in quick reach. Investing in such a region brings you close to your workplace and daily needs thus bringing comfort to one’s life. 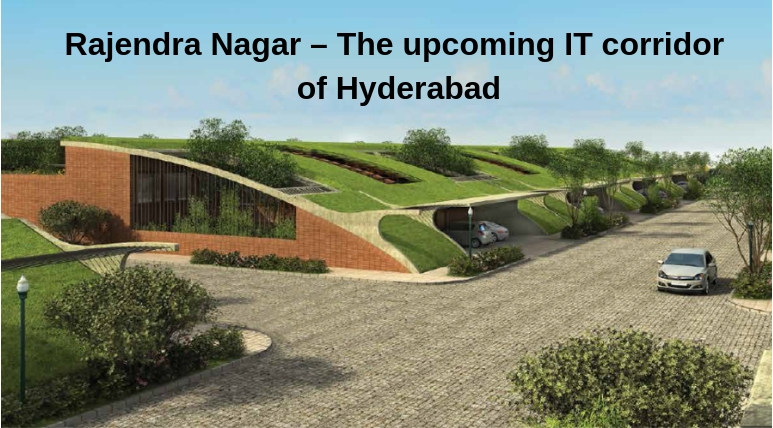 Hyderabad is home to a number of business parks and commercially important zones. The great connectivity features such as the Strategic Road Development Project (SRDP), metro, MMTS (Multi-Modal Transport System) binds these micro markets with each other. In recent years with the development of metro networks, the distant suburbs of the city have also started growing at par with the rest of the city. Jubilee Hills and Banjara Hills are the traditional premium property market of Hyderabad. Residential localities such as Manikonda, Sainikpuri, Miyapur and Kukatpally are the new prominent entries in the realty market. The city offers its modern home seeker a green living environment filled with urban forests, conservation zones and lakes. These open areas not only provide serenity to the atmosphere but also keeps it fresh and pollution free. The homes located slightly away from the main city offer a greener environment and provide quality homes at affordable prices. Improved road and well-established metro network make it possible for a home enthusiast to find an affordable home near their workplace and yet be connected to the rest of the city. The developed infrastructure makes it possible for people to travel an extra distance with little or no hassles. The city outskirts are blooming with such micro-markets. Areas such as Madhapur, Gachibowli, Nanakramguda and Gopanpally have turned into popular residential destination due to their well-planned infrastructure and closeness to the Hitec City. These suburbs are being developed at a fast pace and premium projects are now being regularly launched in these areas. The affordability of land and its great future prospects makes them a favourable investment option. Prices of property in these areas are expected to show great appreciation in future and due to constantly increasing demand are deemed to bring in high returns. 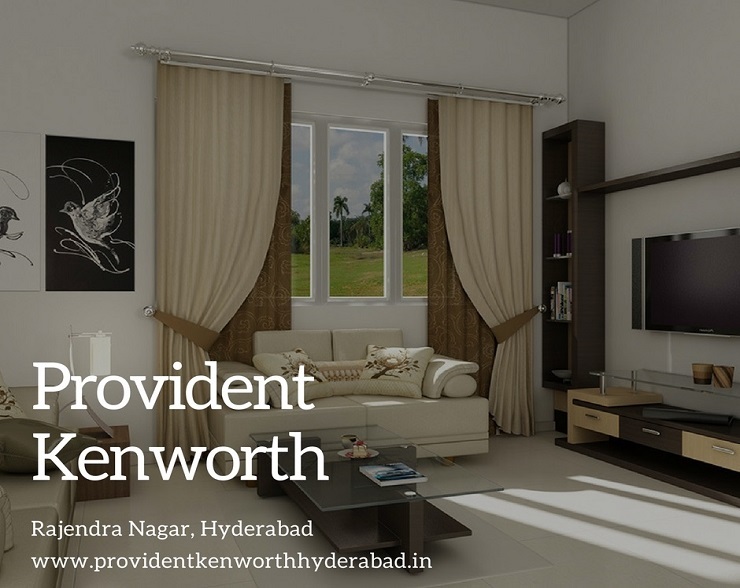 Located in Rajendra Nagar, Hyderabad is the new venture of the iconic real-estate development brand of Provident Housing. The project has been named Provident Kenworth. Set in a lush green neighbourhood the project offers marvellous features and world-class facilities. 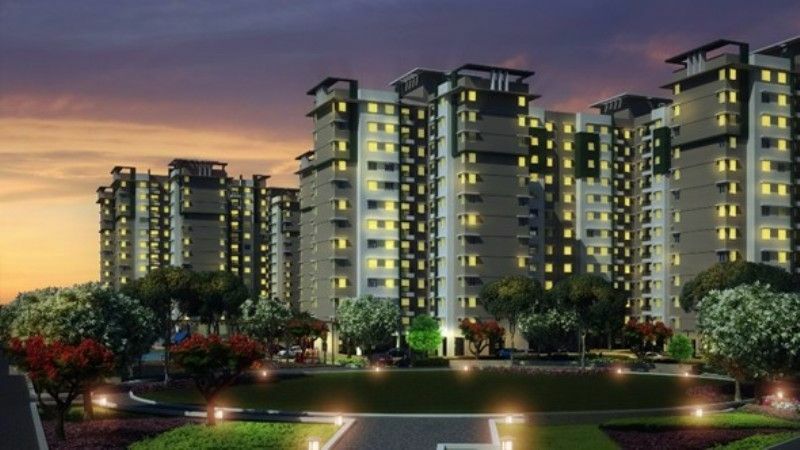 The estate comprises of multi-storeyed towers offering various sophisticated configurations of 1, 2, and 3 BHK sets. The apartments are Vaastu compliant and have their sizes ranging from 380 sq.ft. to 1300 sq. ft. These units have prices ranging from Rs. 23* lakhs to Rs. 65* lakhs. The amenities that are offered in the complex include, clubhouse, meditation centre, lift, shopping centre, kids’ play area, swimming pool, theatre, cafeteria, a multipurpose hall and much more in the estate.